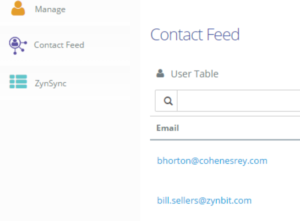 Once ZynTrack is set up by the web master, you can begin to see the results of data obtained by checking your contact feed on app.zynbit.com. 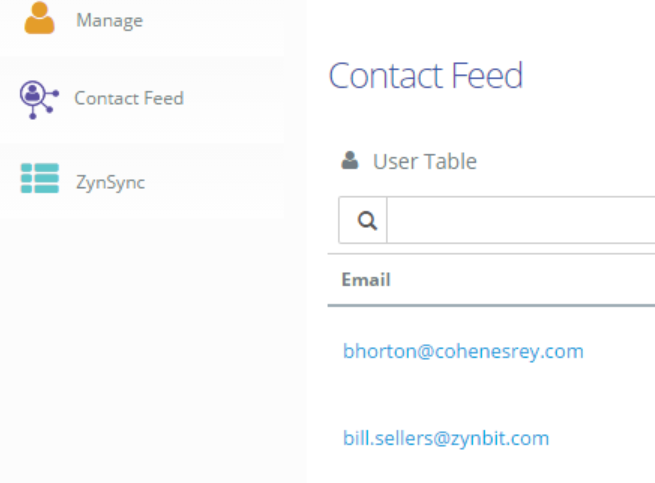 Log in to app.zynbit.com and choose the Contact Feed icon on the left side of the screen. You will see a list of your contacts display. Click on the name of the contact you are interested in. A listing of website visits and emails opened will be displayed for your review. If you have ZynTrack and ZynBox, the ZynTrack information will be displayed at the bottom of the ZynBox screen. In this example, Angus visited a website which recorded the ZynTrack information, so it is displayed here.